I have ONE question. @EricWynalda & Brett Lashbrook, how is it possible I am in San Diego Sockers country (and Eric’s SDSU) and I don’t have a LV Lights hat to piss the locals off. Maybe I’ll go rent a Llama. Simon Keith holds the distinction of being the first athlete in the world to play a professional sport after undergoing a heart transplant. Keith was just 21 when, in July of 1986, he received the heart of a 17 year-old boy. Keith amazingly returned to competitive soccer a year after his transplant playing for the University of Nevada, Las Vegas (UNLV). Now one of the longest living organ transplant recipients in the world and most notable professional athletes of his time, Keith recently published his biography “Heart for the Game,” detailing this most unique journey, including his return to Wales to meet his donor’s father 25 years after that fateful day when the boy lost his life. In 2011, he founded The Simon Keith Foundation, an organization dedicated to increasing organ donor awareness and educating transplant recipients. And in 2014, Keith was named one of Las Vegas’ Most Intriguing Personalities for his work with the Nevada Donor Network in turning it into the highest producing organ procurement organization in the world. 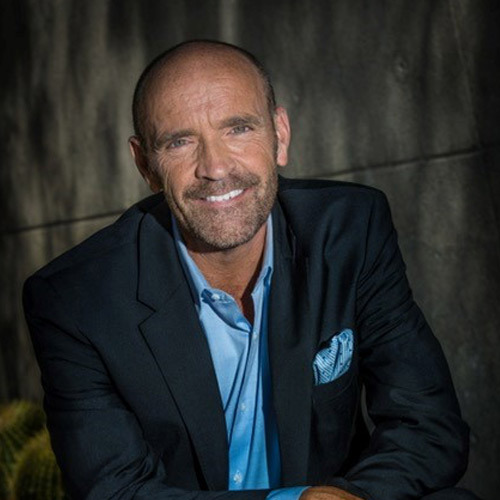 Recently, we selected Simon Keith to speak at our Anytime Fitness Annual Conference. Our audience is franchise owners and managers in our health clubs from all over the world. Simon’s message on moments of truth absolutely motivated and inspired our group, who is in the business of motivation and inspiration! Simon shares what he has learned through his personal journey of being a heart transplant recipient who actually made his way back to a career as a professional athlete. His delivery style was so genuine yet impactful. His message is clear, concise and exactly what people need to hear. His book is also a great take away for attendees. We look forward to continuing our relationship with Simon and would absolutely recommend him as a speaker for future events. If you want your audience to be fully present, think about what they can do better as well as get a full dose of surprise, energy and enthusiasm, Simon Keith is your guy! Simon Keith was a fabulous speaker for our Banquet. His personal story provided so much hope to our guests who are struggling with many of the same issues that he had to endure. His motivation and compassion for others are a gift he shares with all.